"I’ve dealt with back pain for quite a few years and as the older I got the worse it got. I finally went to my doctor for the specific reason thinking we would go through the process with the end result being back surgery. To my surprise one of the first things she asked me was if I’ve ever done physical therapy. I told her I hadn’t, so she recommended that this should be my first step. I agreed and a couple of weeks later I had my first session at BioSport. 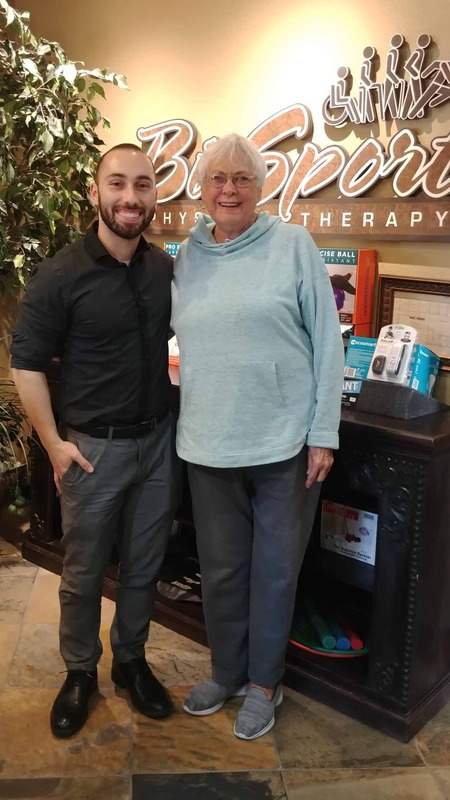 I was greeted by friendly staff and was introduced to Dr. Koree Ringer who was going to by my physical therapist. She, just like the rest of the staff, was friendly and put me at ease. She was very thorough on what my body was and wasn’t able to do. Koree then tailored a routine just for my ailments and in just a short amount of time I can feel a big difference in my body and back. Thank you Koree for all you’ve done making the workouts fun and not seem like work at all and healing my back." 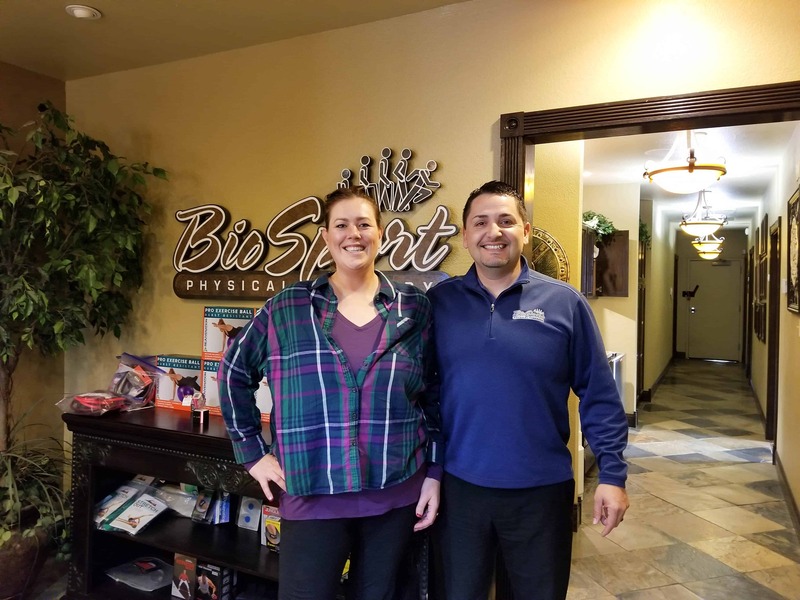 With 9 bad discs and constant neck and back pain, I was much relived to join my mother at BioSport PT. In the 2 months I’ve been working with them, I have experienced more strength and function than I’ve felt in over a year. The staff is encouraging and helpful. I went from being in too much pain to being able to finish vacuuming the house and decorating for Christmas without any trouble or recuperation time. This makes all the difference in the difference in my daily life. I was diagnosed with sciatica and had an MRI and epidural, but nothing was working for my pain. 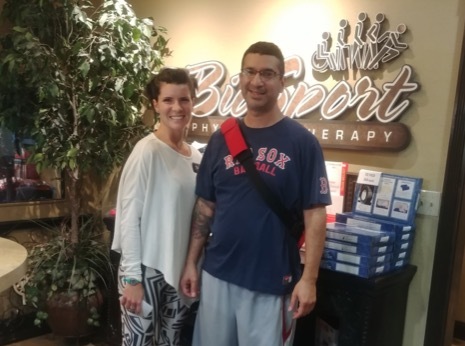 I came to a low back pain workshop at BioSport and said, “what the heck, I’ll give it a try.” I came and met Alex and everything started to change. I used to take medicine for my pain and I haven’t taken a pill since my first visit. I can now walk my dog and complete all my daily activities without pain. I shot one of my best games of golf after the second visit. Thank you Alex, and BioSport!